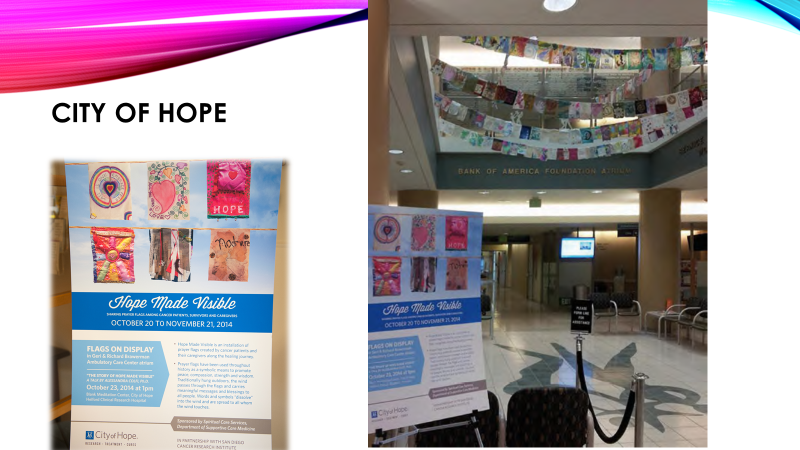 Hope Made Visible™ in support of Palliative Care and of a broader health care conversation on University campuses. 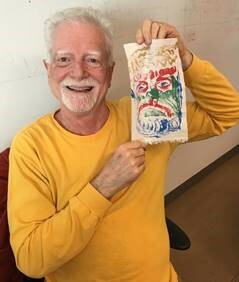 At least once a year, San Diego County patients are offered the opportunity to participate and contribute to the worldwide movement with an 8-week series at 2 different locations. 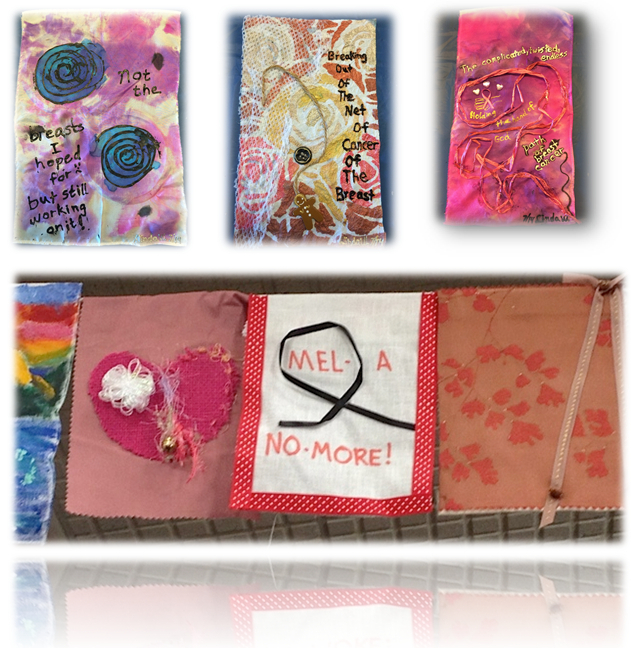 Through this unique Expressive Arts making process cancer patients have been creating mixed-media art flags. 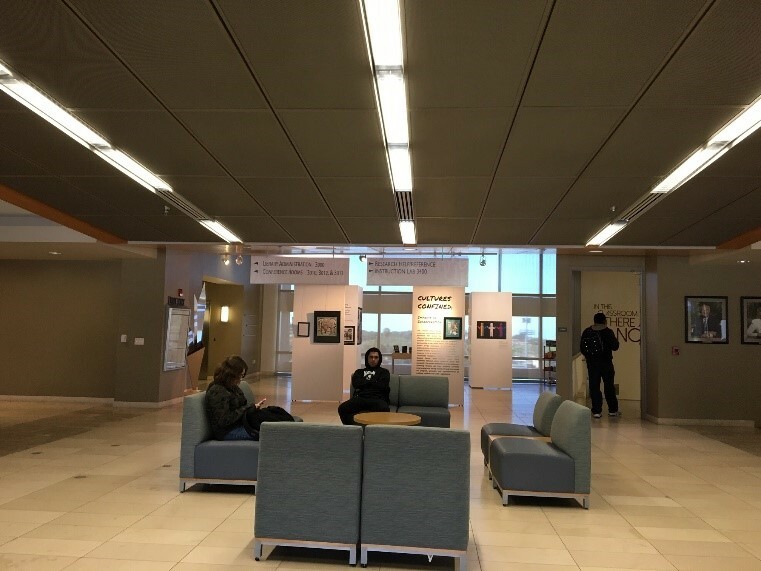 Connecting locally and internationally patients become aware of something greater, share purpose, solidarity, their journeys and resources. Together they make hope visible! 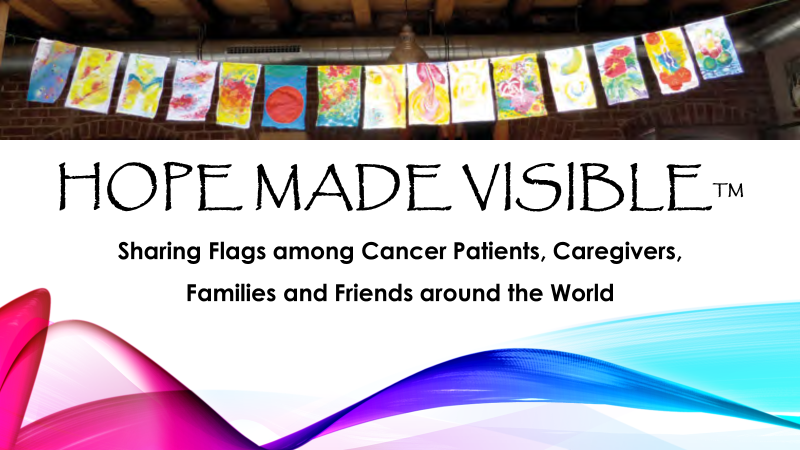 Hope Made Visible™ has been transforming the consciousness of individuals affected by cancer from co-dependency and disconnect to deep interconnectedness by raising empathetic awareness and restoring hope and resilience, proven valuable in an integrative model of care. 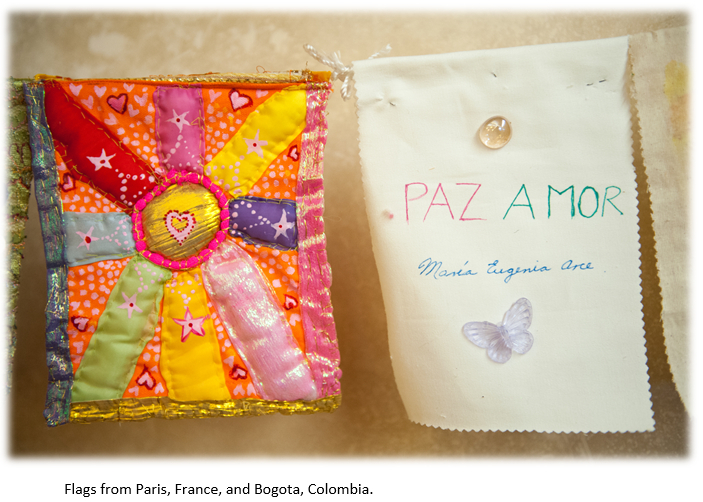 2000+ flags made by people affected by cancer have been traveling and exhibiting in the USA, South America, Europe. 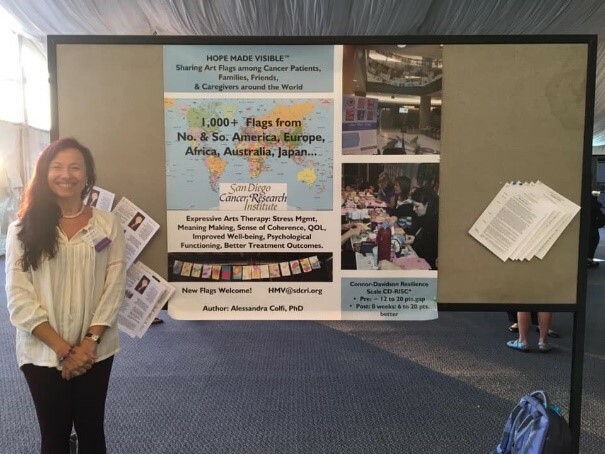 Hope Made Visible™ was featured at CSU Institute for Palliative Care Symposium hosted by CSUSM Institute for Palliative Care. 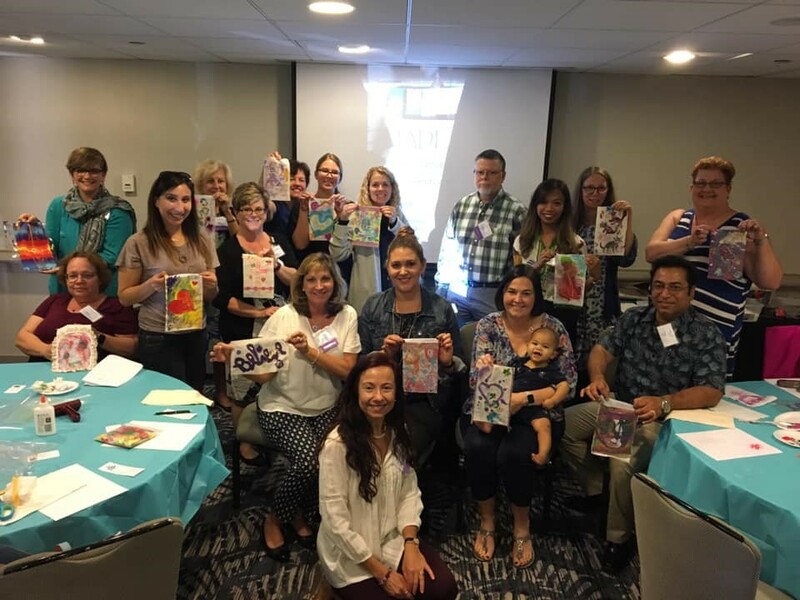 Dr. Alessandra engaged attendees from across the USA with a presentation and hands-on workshop, and shared a research poster to demonstrate patients’ enhanced resilience through the Expressive Arts program. A wonderful way to meet and engage so many dedicated Palliative Care professionals, while planting seeds for future collaborations. Another pin on the health care map! 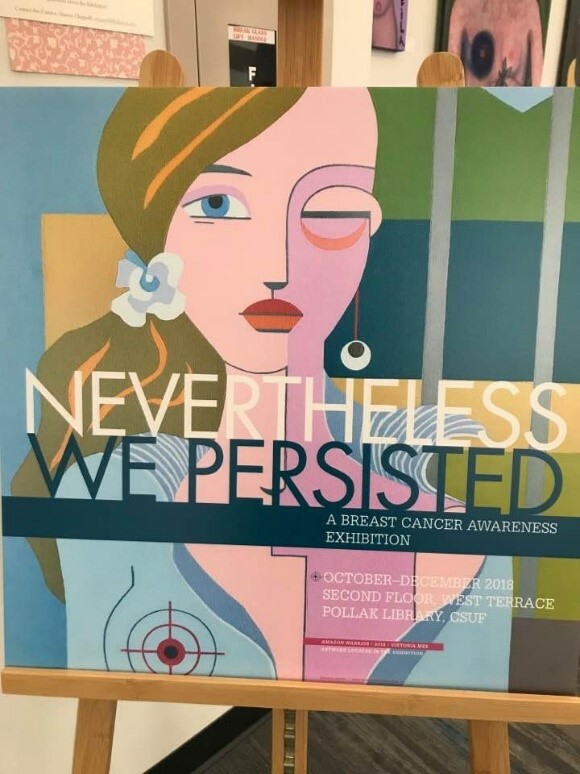 Dr. Sharon Chappell, a professor at CSU Fullerton, invited our Expressive Artists to participate in her art showcase ‘Nevertheless We Persisted’ at California State University Fullerton Pollak Library to celebrate the journeys and transformation of people affected by cancer. 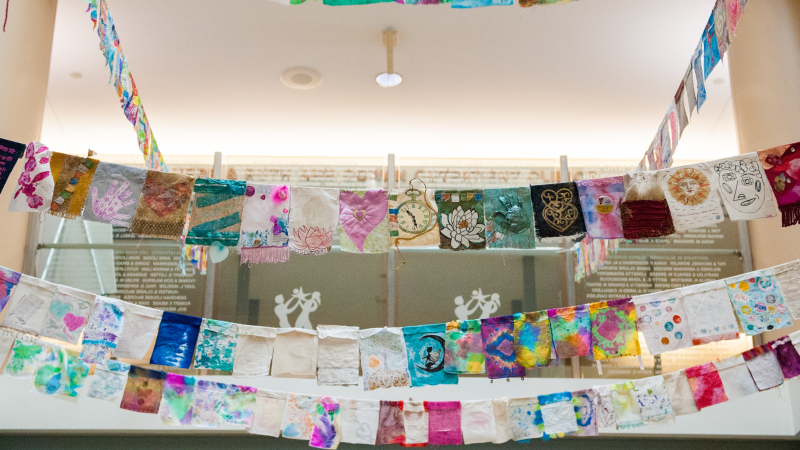 She is in her Breast Cancer Healing Journey and has been decorating bras for herself and encouraging other patients in her community, hence the idea for a collective exhibition by artists among patients, friends, and families. 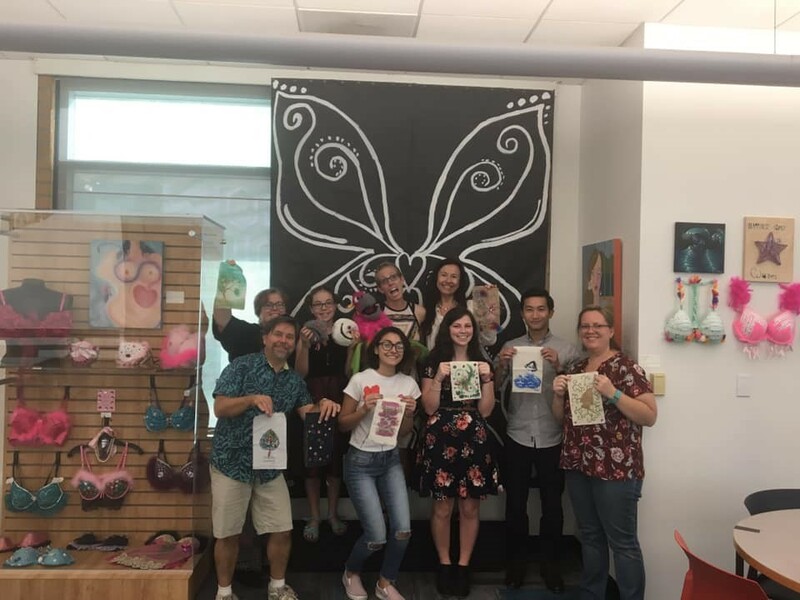 SDCRI Hope Made Visible™ Flags and The Artful Bra & Purses magnified the awareness of the impact of cancer in the community, the healing power of the arts and gave a home to their shared stories for the duration of the fall 2018 semester. 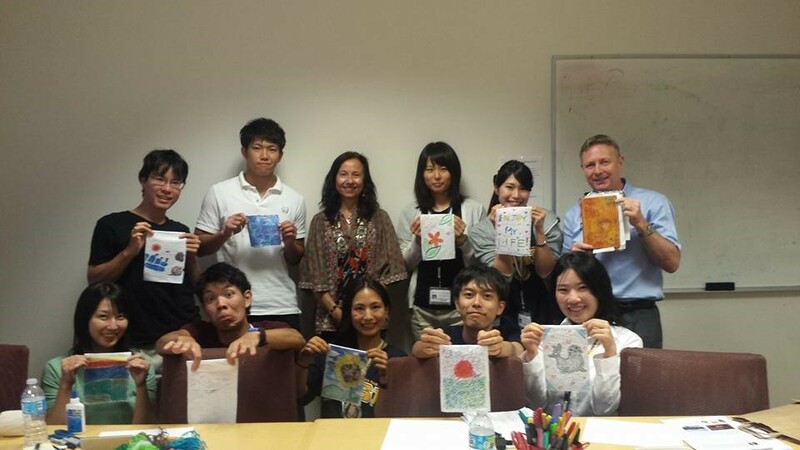 A heartfelt, gratitude- and joy-filled artful afternoon where Alessandra lead a flag creating workshop for all guests. More flags to add to the growing collection. 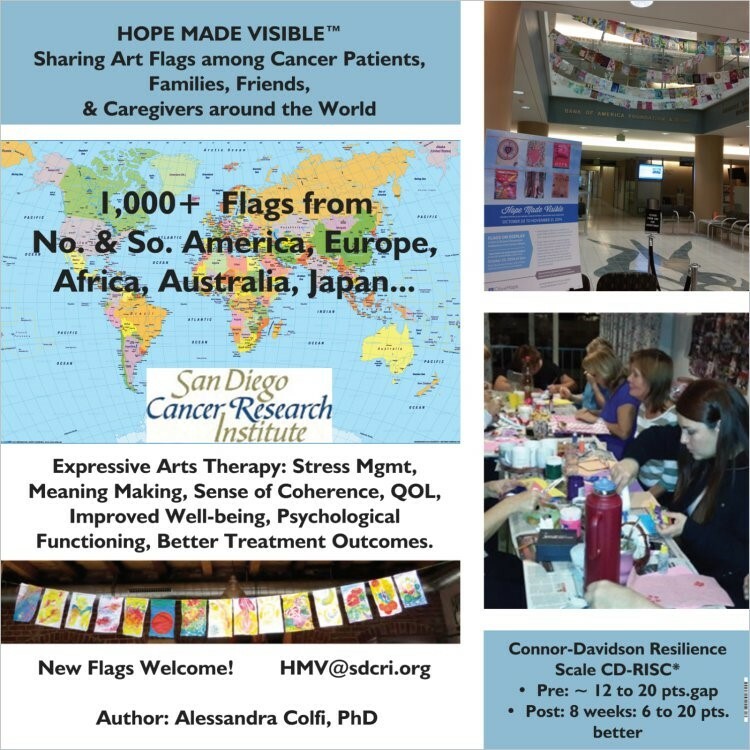 California State University San Marcos, CA, is inviting SDCRI to share Hope Made Visible™ with an exhibition at the Campus Library in the next 2 years; this is a collaboration through their Palliative Care Institute, the Campus Library, Academic Health and Social Justice programs, providing a rich academic and social context on how the local and international outreach and impact of these unique flags can affect, inform, and be a powerful message and experience for the CSUSM community. 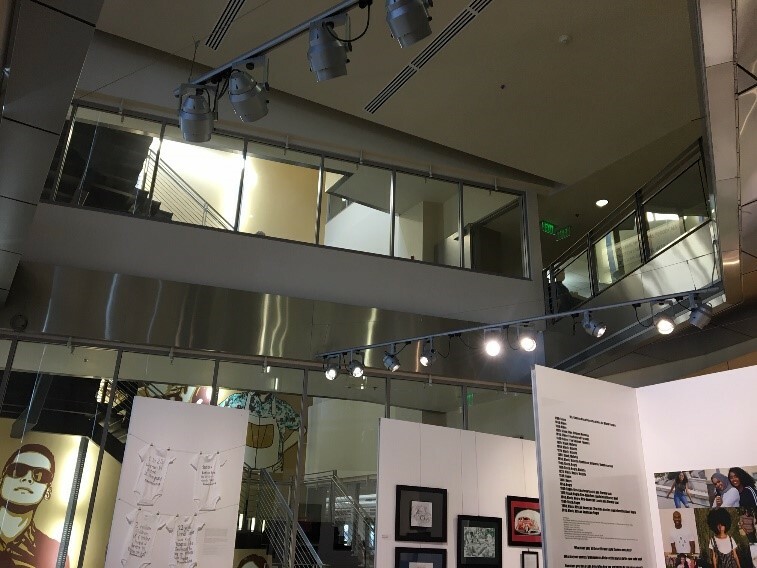 The exhibition space looks optimal with the open atrium where the flags will be suspended as a canopy of colors, textures, and messages, and wall space for the research poster connected with Hope Made Visible™, statements, video/slideshow, and opportunity to engage the community with creative and interactive stations. 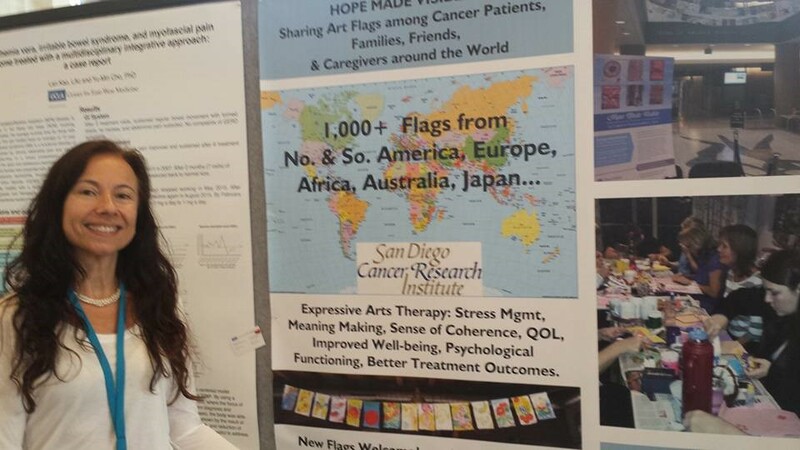 We celebrate these milestones in 6 years of participation by patients from San Diego County and across the world joining in person and virtually. Hope Made Visible™ has arrived in Guatemala! 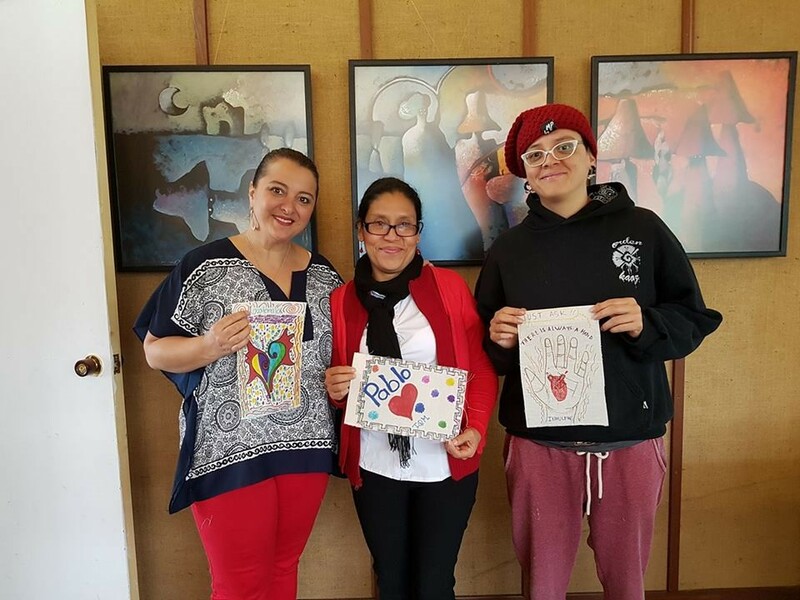 Paulina, a colleague of Alessandra’s in Guatemala, is working with the help of a public hospital to exhibit the globe-trotting flag collection at a local mall from July 7th through July 9th! 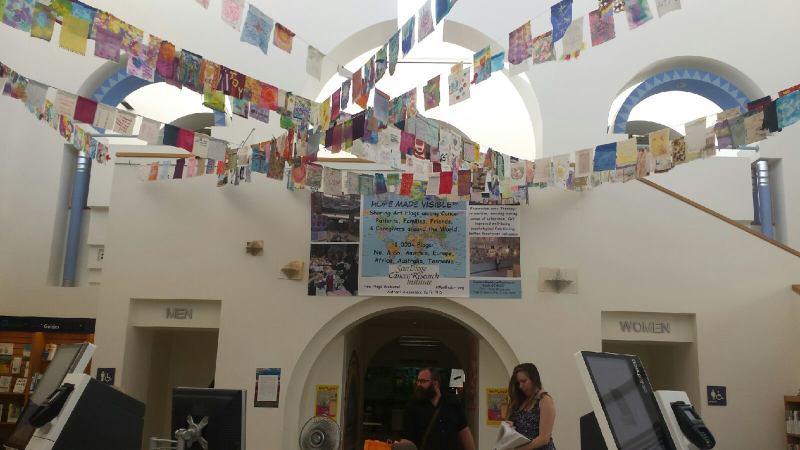 The flags were shipped from SDCRI’s home in San Diego to Guatemala in May, and their arrival in Guatemala was confirmed in early June. 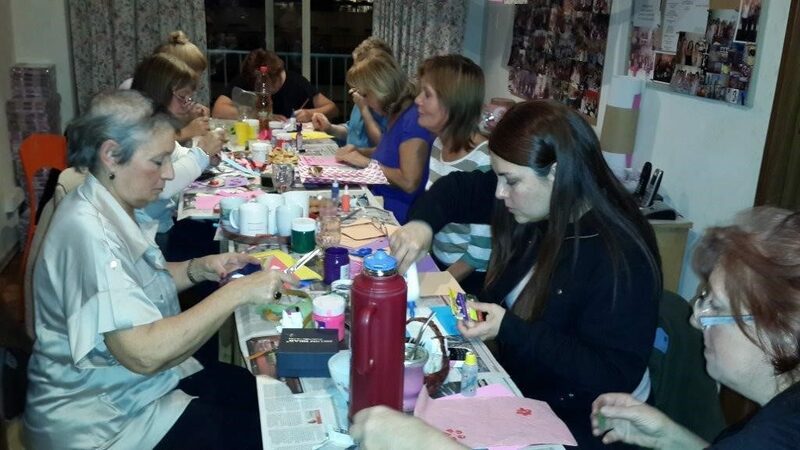 Paulina and her crew of cancer warriors completed 7 monthly sessions making flags, and the have announced that they are planning to exhibit the flags for the 3 days in July. 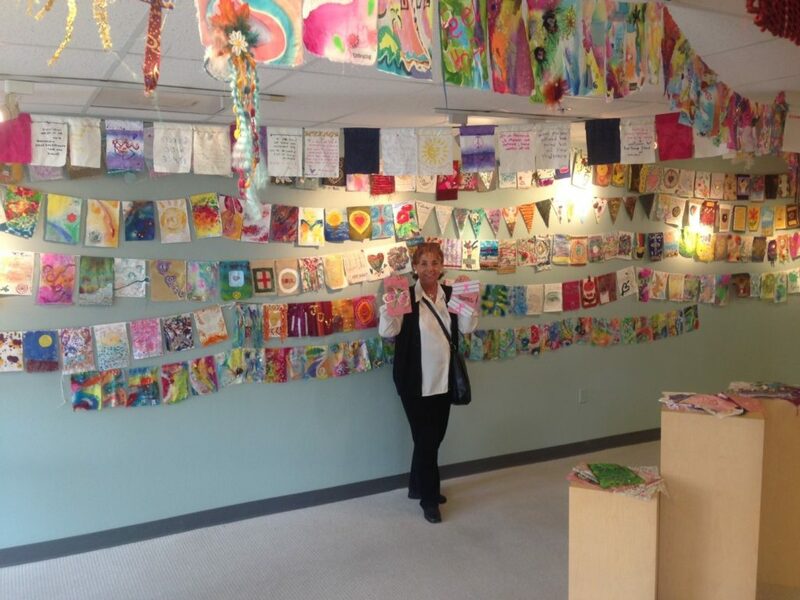 Alessandra has sent 700 to 800 flags created in, and collected from, the USA & several other countries around the world. 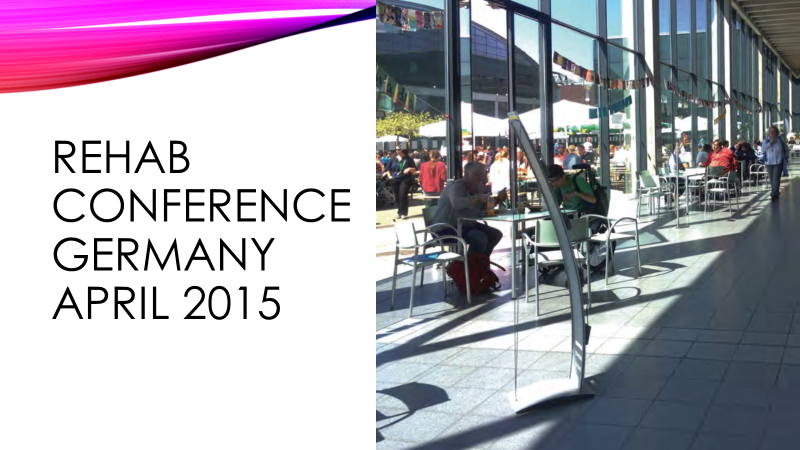 In addition, at least 100 more flags will be coming from the Fahnen furs Leben group in Germany. Fahnen furs Leben (“Flags of Life”) is the German counterpart of HMV, headed up by Gabriele, another colleague of Alessandra’s, who has been working with cancer patients in Europe to create their own collection of flags. 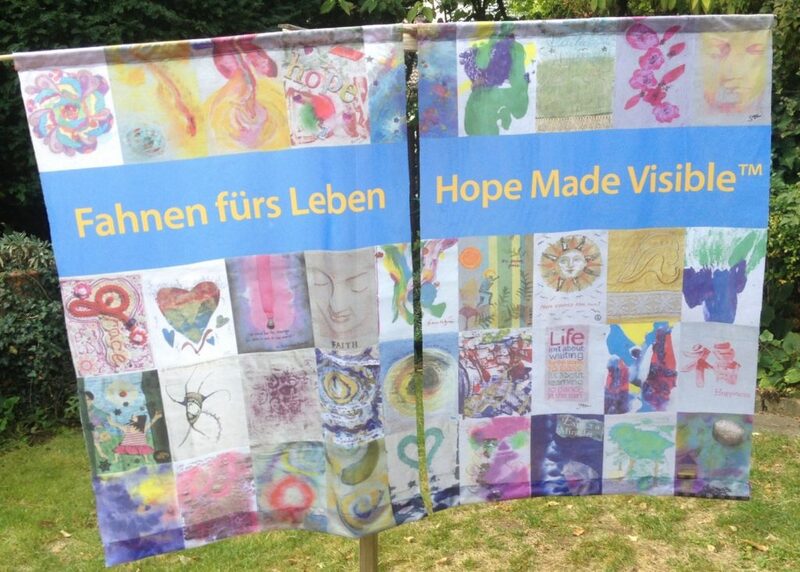 There will be more news and possibly photos for the new exhibition of these wonderful, international symbols of hope! Check back soon to see what’s next! 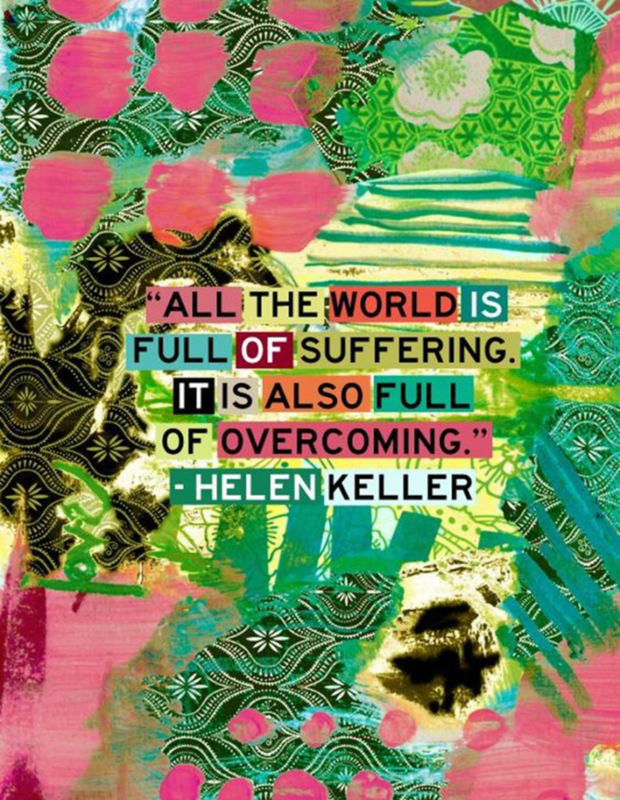 You can follow Hope Made Visible™ on Twitter by clicking here! 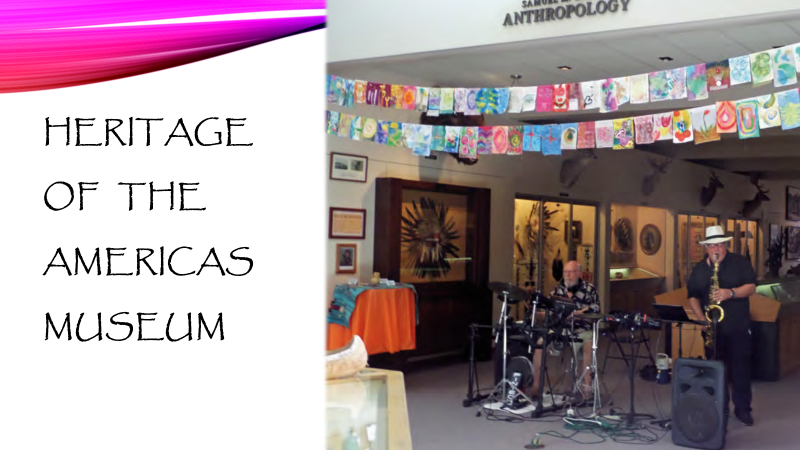 And you can get updates for HMV on the Expressive ARTS Therapy Facebook page! Alessandra has just completed a 2-year program at Habitat for Humanity; Hope Made Visible™ was well received by Veterans experiencing homelessness, addictions, PTSD. 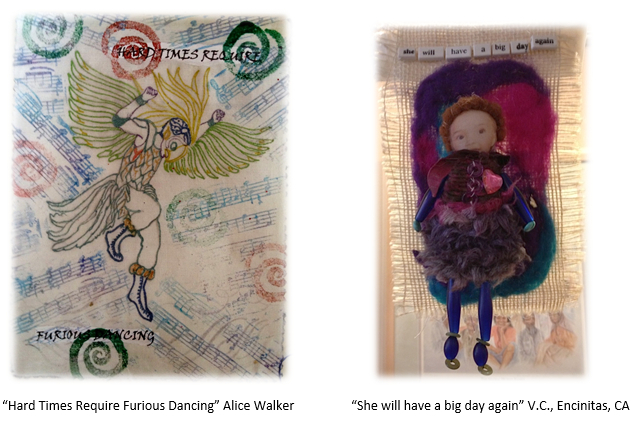 “Thank you so much Alessandra! Your work with our veterans has been magnificent and deeply appreciated. 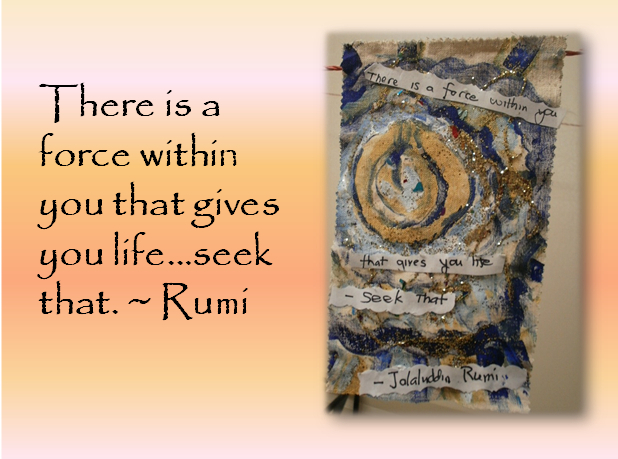 “ (Donna Deutchman, CEO, Habitat for Humanity SF/SCV). 1 – Simple, low-cost tests to evaluate distress and anxiety in patients and their caregivers are necessary to identify and implement early intervention. Distress Screening has become mandatory in cancer care since 2015. 2 – Is ‘a sense of coherence’ what makes the difference in boosting patients’ resilience?Often patients seek complementary modalities on their own and after several months of their initial diagnosis. 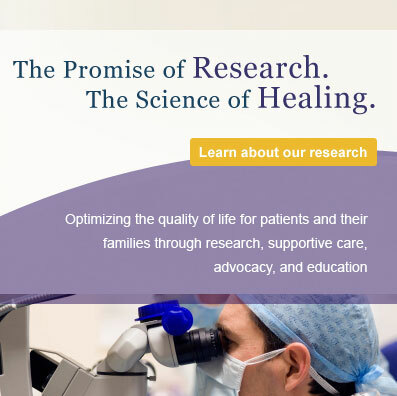 In an integrated model of care patients can safely access complimentary modalities. 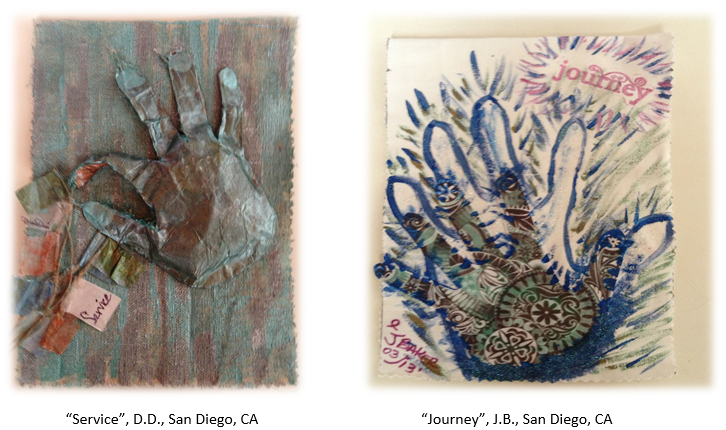 3 – Is art making a catalyst for lower inflammatory response in the body? 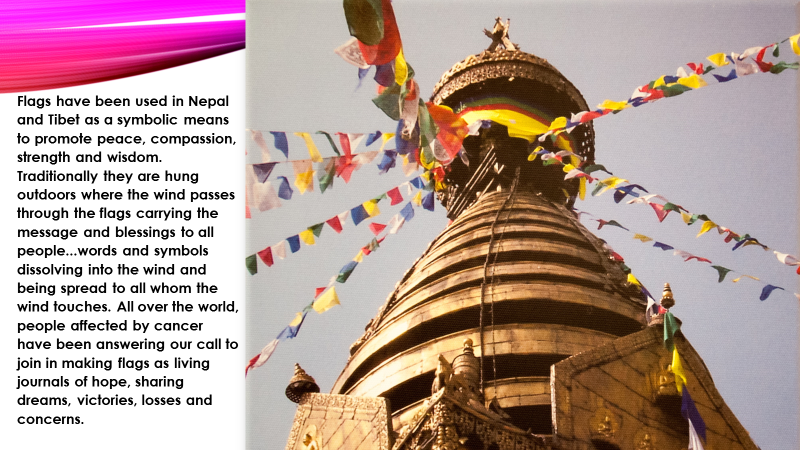 Here is just a taste of the project that has expanded to nearly 1000 flags and almost a dozen countries!